St. Louis Cardinals right-handed pitcher Michael Wacha was in Springfield on Tuesday in his continuing rehab from an oblique injury. 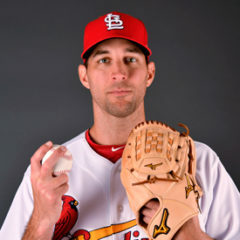 Wacha made his third rehab start, but first with Springfield. The former NLCS MVP allowed three runs (five earned) over 2 ⅓ innings of work after leaving early with a trainer due to feeling some muscle tightness. He tossed the highest number of pitches (52) since his rehab assignment began in High-A Palm Beach. On a positive note, Wacha was able to touch 95 mph on the gun and struck out three batters on the night. Following his outing, Wacha spoke to the local media in Springfield, discussing how he felt and much more. Media Member: Probably not exactly what you were hoping to get out of today, but what were you able to take away from this appearance? MM: How come you left the game in the third? Anything in particular? MM: You still had some swinging strikes there and had a couple of strikeouts, so there was some things working for you. What was going well? MW: “I think the changeup had some pretty good depth on it. Early on in the game, I was throwing strikes and I was filling it up. Towards the end, I was getting behind guys and that was when I was getting in trouble. Those 1-0 and 2-0 counts and they were sitting dead-red and on time. MM: Do you know what the next step looks like moving forward from here? MM: I know you didn’t get much time to look at them, but what is the thought looking at the Springfield team down here? What have you noticed? MM: You played for Mike Shildt here back in 2012. What was it like for you to hear that Shildty had the interim tag removed today? MM: How excited are you to get back with the team? Obviously, the big-league club has been really hot now for a while. MW: “It’s something I have been looking forward to since I have been on the DL. I’m not sure when that will be. It is definitely fun watching them on TV or in St. Louis whenever I’m there. It is just guys playing free and having fun and going out there and winning a lot of ball games. It has been a lot of fun and have one more month left to go where we make a little push here to the postseason. MM: Has it been kind of frustrating to see how well they are playing and you not being out there with them? Catch Derek Shore’s in-depth Springfield Cardinals Notebooks, posted each Thursday morning all season long, exclusively for members of The Cardinal Nation. 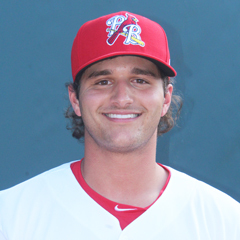 The Springfield Cardinals third baseman discusses his focus during his fast rise in his first full season since joining the organization in the 2017 draft with TCN’s Derek Shore. Despite three rehabbing major leaguers, the Double-A Cardinals posted a 2-3 week. Manager Johnny Rodriguez wants to make his team’s final 12 games count. Second baseman Andy Young continues his strong Texas League debut. Former and current Double-A managers of left-hander Genesis Cabrera discuss his future and the 21-year old talks about his trade from Tampa Bay to the St. Louis Cardinals and more! St. Louis Cardinals right-handed pitcher Adam Wainwright was in Springfield on Sunday in his continuing rehab from an elbow injury. Wainwright, along with pitcher Carlos Martinez and infielder Yairo Munoz, appeared in the S-Cards series-finale against Corpus Christi (HOU). Wainwright allowed a double in the first and he went on to strike out four. His fastball topped out at 92 mph and he recorded all his strikeouts off his curveball. Following his second rehab appearance, Wainwright spoke to the local media in Springfield, discussing how he felt and much more. Media Member: Looked pretty good today. How did you feel out there? Media Member: What were the goals coming into this start and did you feel you achieved them as you get closer to getting back to St. Louis? Media Member: Has St. Louis told you what your role is going to be this season? Adam Wainwright: “No, but if you hear, let me know. I would love to know myself. I think they are waiting to see kind of what they are going to need, honestly. They are playing such good baseball right now. You don’t know come in and mess up the mojo, but also if you come in and help the team win, then they are going to use you. Media Member: Is that kind of tough to have to be out here and watch them play so well? Media Member: How excited are you to get back there and get into that clubhouse and be a part of a team that has been surging now for so long? Media Member: What was it like playing back here in Springfield? Media Member: What about the team – what have you seen in these young guys? Adam Wainwright: “I haven’t seen much – only a couple of innings. But everybody seemed to be doing pretty well. It’s fun for me to see Yairo and Carlos almost getting back, too. Those guys are great competitors and good big league hitters and pitchers. I think we have an incredibly deep farm system. Media Member: Do you feel like you had a taste of being back in St. Louis, having Yairo and Carlos here? Media Member: So, what happens when Matt Carpenter runs out of salsa? Are you going to plant him a bigger garden? Media Member: Your off-speed stuff really seemed to be working for you today. Is that pretty good progress for you going forward? Adam Wainwright: “My curveball was the hardest for me to throw before I went on the DL. That is why I went on the DL. I could find my way around an average fastball that was somewhat located, but I couldn’t spin the ball. That has always been my strength, so when I can’t spin the ball, I need to let someone else who can and step in. Media Member: Now the next outing coming up – is the plan for you to start or come out of the bullpen? On Friday, Baseball America announced its annual Best Tools in the Minors, which surveys managers from all 10 full-season minor leagues about the top players in a variety of categories. The St. Louis Cardinals organization is well-represented, with eight players named. From the reigning Pacific Coast League Champions and current American Southern Division leaders, five Triple-A Memphis players are featured in BA’s Best Tools survey. Slugger Tyler O’Neill was selected as the best power prospect in the PCL. The 23-year old Canadian leads the circuit with 26 long balls despite only playing in 64 games at Triple-A this season. Many in the industry give him double-plus grades for his power potential. On the pitching side, Dakota Hudson was tabbed as the best overall pitching prospect after posting a league-best 13 wins and 2.50 ERA at Memphis. With a heavy sinker and three other quality offerings to complement it, Hudson has the makings of a mid-rotation horse for the Cardinals in the not too distant future. Owner of the best breaking pitch in the PCL went to a familiar lefty now thriving in St. Louis, Austin Gomber. Gomber went 7-3 with a 3.42 ERA through 12 games (11 starts) at Memphis this season, averaging over 10 strikeouts per nine innings. The southpaw’s 12-6 curveball draws consistent plus grades from scouts. Known more for his offensive prowess, Memphis corner infielder Rangel Ravelo was named the best defensive first baseman by opposing managers. Ravelo is the Cardinals newer-version of Luke Voit. Perhaps the most tooled-up prospect in the Cardinals organization is Memphis outfielder Adolis Garcia, who may have the best throwing arm among all minor league outfielders. Not surprisingly, he was named as having the best outfield arm in the PCL. While Memphis made up most of the Cardinals best tool players, there were some other notable selections announced on Friday. 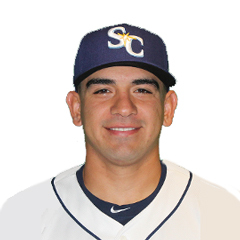 Evan Mendoza was the lone representative from Double-A Springfield. The former NC State product was named the Texas League best defensive third baseman as well as the Florida State League best defender at the hot corner. The questions surrounding whether or not he will stick at third base coming into this season seem to have come and gone. Now, Mendoza will need to prove he can handle upper-level pitching as a 22-year old. In addition, Austin Warner was tabbed as having the best control in the Florida State League. The non-drafted lefty, who has shot onto the scene this season, posted an impressive 77-to-13 strikeout to walk ratio over 74 innings hurled at High-A Palm Beach. He has since risen to Memphis and is holding his own. Warner has big-league stuff with an outside shot at getting a cup of coffee in time. To round out the Cardinals representation in BA’s best tools, former Low-A Peoria infielder, now Palm Beach, second baseman Irving Lopez was named the best defensive second baseman in the MWL by BA. Though not necessarily a prospect, Lopez projects as a very good organizational player. Cleveland Indians high-A manager Rouglas Odor offers perspective on his former outfielder who is now a St. Louis Cardinals prospect playing with the Palm Beach Cardinals, Conner Capel. Tampa Bay Rays Triple-A manager Jared Sandberg offers perspective on his former outfielder who is now a St. Louis Cardinals prospect playing with the Memphis Redbirds, Justin Williams. The Double-A Cardinals struggled to a 2-4 record that kept them in last place. The offense is not scoring consistently and the relief woes have resurfaced. Andrew Knizner has a 14-game hitting streak and newcomer Casey Meisner allowed just three runs in 12 innings pitched. Tampa Bay Rays Double-A Montgomery manager Brady Williams offers perspective on two of his former pitchers who are now Springfield Cardinals, Genesis Cabrera and Roel Ramirez. The Double-A Cardinals struggled to a 1-5 record that knocked them into last place. Infielder Tommy Edman sparks the offense, which scored just 14 runs during the week. The St. Louis Cardinals’ ninth-round draft pick in 2017, left-handed pitcher Evan Kruczynski, is off to a good start at Double-A. It is the next step of development that began at East Carolina. The player and his coaches discuss his growth. 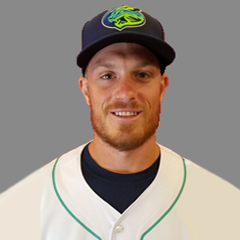 Get to know one of the newest pitchers in the St. Louis Cardinals system, former Seattle farmhand and 2017 draft pick Seth Elledge. This is the first part of The Cardinal Nation’s monthly two-part series as we name our Players and Pitchers of the Month across the St. Louis Cardinals organization. While the Cardinals themselves recognize their top players as well, we undertake our own independent analysis unencumbered by the organization’s selection criteria. Let’s get right to it with a look at the list of July system-wide pitching leaders. While a number of starters in the Cardinals system had a strong July, one hurler distinguished himself from the rest, utilizing a terrific stretch of pitching to earn a much-deserved promotion. 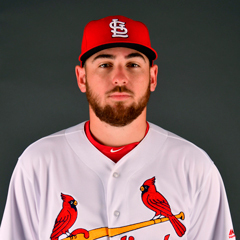 Our July Pitcher of the Month is Class-A Peoria starter Alex Fagalde, who should also have a strong case to claim the still-to-be-announced Cardinals organization and Midwest League Pitcher of the Month honors. Among starters with at least 25 innings pitched, Fagalde led the Cardinals system with a miniscule 0.90 ERA, finishing with the lowest WHIP of 0.73 and ranking fourth with 29 punchouts through 30 innings hurled for the Chiefs. “Over the course of the season, I’ve started to really trust my stuff and I’ve gotten away from trying to just touch every corner of the zone,” Fagalde told MiLB.com. “I’m just trying to get it in the zone and get it over the middle and you know what — if it gets hit, it gets hit. But more than anything, I’m just attacking hitters and also trying to keep the pitch count down. The Cardinals 2017 30th round pick, who started the year in extended spring training, was assigned to Peoria on May 18. He was sensational in May and June, posting ERAs of 2.12 (17 IP) and 2.08 (30.1 IP), respectively. Over five starts, Fagalde allowed just three earned runs and none over his final 18 innings pitched. His best start was his final outing with Peoria in which he struck out 10 batters over seven one-hit frames. That earned him a promotion to High-A Palm Beach on August 1. He tossed six shutout innings in his Florida State League debut on Thursday night, extending his scoreless inning streak to 31. 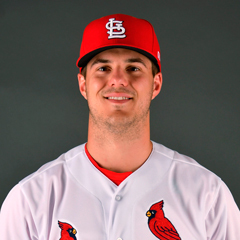 “Alex is a guy that if you look at his stuff and if you look at the radar gun – it’s not going to impress you,” Peoria manager Chris Swauger told The Cardinal Nation. “If you watch him pitch, not one thing is going to overwhelm you about what he does. If you see everything in context and how it relates to the other, you understand why he is so effective. “His fastball, his curveball, and his split all play very well off each other because he throws them with the same delivery and arm slot. It is very hard for a hitter to differentiate between them. He gets a lot of swings and misses because he is able to work up and down in the zone. Overall on the season, Fagalde has compiled a 7-3 overall record with a sparkling 1.51 ERA over 14 games. The 24-year old has posted an 83-to-18 strikeout to walk ratio over 83 ⅓ innings pitched between Peoria and Palm Beach this season. However, given his age, he will need to prove he can pitch as effectively in the higher levels first before he is a sure prospect. Runner-up to Fagalde is State College lefty Jake Dahlberg, who finished second in the system with a 1.32 ERA among those qualified. 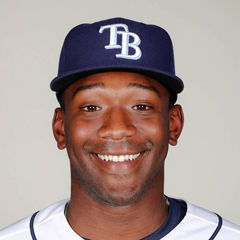 The 24-year old also had the second lowest WHIP (0.94) and was third in strikeouts (31 over 34 innings pitched). 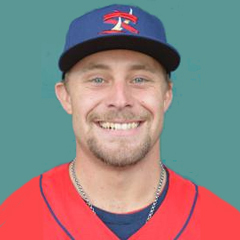 With that performance, Dahlberg earned a promotion to Peoria, replacing Fagalde in the Chiefs rotation. “He has got an idea of how to pitch,” State College manager Joe Kruzel said. “He pitches inside. He moves his fastball around. He keeps hitters off balance with his changeup. When he first got to extended, it first looked like he was going to be out of the bullpen and then situations happened. 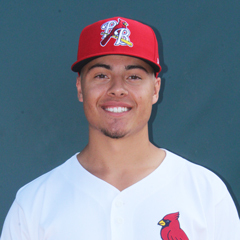 Another pitcher worthy of mention is DSL Cardinals Blue starter Hector Soto, who posted a 1.33 ERA in five starts. The 19-year old Mexican right-hander struck out 26 batters and issued only three walks through 27 innings. This is impressive for any teenager, as first and foremost throwing strikes is one of the bigger developmental hurdles young arms have to face in complex leagues. 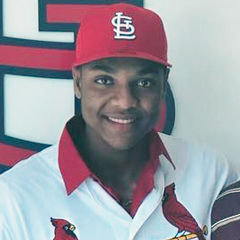 From one DSL Cardinals Blue standout starter to another, 19-year old Dominican Julio Puello had a strong month of July as well, boasting a 1.73 ERA over five starts. The right-hander had a 24-to-6 strikeout to walk ratio through 26 innings of work. 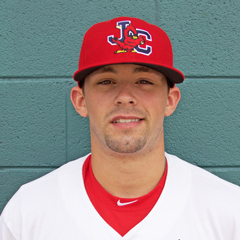 Other honorable mentions are State College’s Jim Voyles (2.40 ERA over 30 innings), GCL Cardinals right-hander Brian Pirela (2.02 ERA over six games), Palm Beach righty starter Jake Walsh (2.62 ERA over 34 ⅓ innings), and Springfield’s Anthony Shew (3.31 ERA over 32 ⅔ innings pitched). Meanwhile, Peoria starter Angel Rondon had four impressive starts in his first taste of the Midwest League. He went 3-0 with a 3.08 ERA, striking out 29 batters while issuing only six free passes over 26 ⅓ innings on the month. His teammate Alvaro Seijas had a 3.30 ERA over 30 innings pitched, so things are trending in the right direction for him as well. One of the more highly-rated prospects, Connor Jones, had a 2.84 ERA over 31 ⅔ innings between Springfield and Memphis. Although, his strikeout to walk ratio was 22-to-22, which obviously isn’t ideal. Jake Woodford also had a decent July, posting a 3.52 ERA in four starts between Triple-A (three) and Double-A (one). The Double-A Cardinals continue to make up ground in the Texas League North Division. Player of the Week Andy Young is leading the offense while the starting pitching and bullpen have improved. On Tuesday, the St. Louis Cardinals also announced three transactions which affected as many levels in the minor league system. The subtraction was expected, but the additions were unknown until Tuesday due to the Tommy Pham trade. This is Martinez’s third stint this season after leaving his start early last night against Colorado. He is expected to miss up to three to four starts as of now, per reports out of St. Louis. Meanwhile, Webb got his first taste of the I55-Shuttle. After tossing two scoreless innings in relief against Chicago in his MLB debut, the lefty was promptly optioned to Triple-A Memphis on Monday before returning 24 hours later. The St. Louis Cardinals announced this afternoon that they have acquired minor league outfielders Conner Capel and Jhon Torres from the Cleveland Indians in exchange for Memphis (AAA) outfielder Oscar Mercado. Capel, 21, a left-handed hitting centerfielder, was batting .261 with 6 home runs, 44 RBI and 15 stolen bases in 89 games for Lynchburg (A) this season, earning Carolina League All-Star honors. The 6-1, 185-pound Katy, Texas native was a 5th round draft selection by the Indians in 2016. He’s the son of former Major League pitcher Mike Capel. Torres, 18, has appeared in 27 games for the Arizona Rookie League Indians this season, compiling a .273 batting mark with 4 HR’s and 16 RBI. 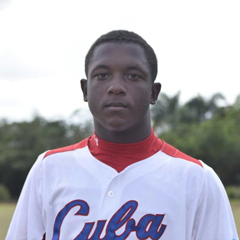 The 6-4, 200-pound right-handed hitting Torres is a native of Sincelejo, Colombia. Mercado, 23, was batting .285 with 8 HR’s and 42 RBI with 31 stolen bases for Memphis. He was the Cardinals 2nd round draft selection in 2013. On Tuesday, the Cardinals traded from their organizational strength, dealing Mercado to the Indians to help address a weakness in the system – left-handed bats. For Mercado, he was known mostly as an all-glove no-bat shortstop for four seasons and lost most of his prospect status as a result. A year later, he converted to the outfield in late 2016 and took off with the bat in 2017, hitting .287/.321/.428 last season in Double-A and .285/.351/.408 this year in Triple-A, resurrecting himself as a prospect. From one of the finest and productive outfielders in the Texas League a year ago, Mercado adjusted well to Triple-A where his speed continued to stand out and his plate discipline improved. This trade should also speak to the emergence of TCN’s No. 31 prospect Lane Thomas, who has intrigued many scouts. He has legit power and can play center field, if needed. 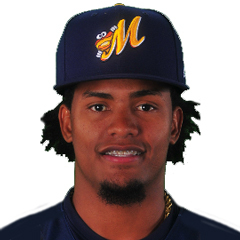 Mercado was assigned to the Indians’ Triple-A Colombus club. On the Cardinals’ end of the trade, Capel entered this year as Baseball America’s No. 15 prospect in the Indians’ system. While he has put together solid production in the lower levels, scouts question his exact profile as a prospect. He has played mostly center field this season after spending most of 2017 in right. Capel also doesn’t have the plus speed best-suited for up-the-middle, though if he can tap into his left-handed power like he did in 2017, he would fit well in right. Capel has been assigned to High-A Palm Beach. The Indians signed Torres out of Colombia in 2016, and he made his U.S. debut in the Arizona League this year. A 6-foot-4, 199 pounder, is described as a physically strong specimen with raw power that he has shown off. Torres has mostly played right field in pro ball, and that’s where he profiles best, according to reports. Torres will report to the Gulf Coast League Cardinals. The St. Louis Cardinals announced this (Tuesday) morning a four-player trade with the Tampa Bay Rays, acquiring outfielder Justin Williams, left-handed pitcher Genesis Cabrera and right-handed pitcher Roel Ramirez in exchange for outfielder Tommy Pham and International Cap Space. Pham, 30, a member of the Cardinals organization since being drafted in 2006, was batting .248 this season with 14 home runs and 41 RBI. The headliner in the Pham trade, Williams was originally acquired from the D-Backs in the Jeremy Hellickson trade. The left-handed hitting outfielder has always flashed loud tools, but he has never quite put it all together. His best tool is his plus arm strength as well as above-average raw power that has yet to translate into games. Still developing as a defender in the outfield, Williams could become an average defensive outfielder but needs to add lift to his swing to begin tapping into his true power potential. All in all, though, he profiles as an everyday corner guy. If that doesn’t pan out, the fallback is a backup outfield role. It is also worth noting Williams essentially takes the spot of Mercado on the 40-man roster. The second piece of the four-player trade is Cabrera, who was said to have some of the liveliest stuff in the Rays’ system prior to the deal. Although his control and command need refinement, the lefty throws low-to-mid 90s fastball with riding life coupled with a slider that flashes plus this year. Scouts are split on Cabrera’s profile with the possibility of making it as a set-up man or mid-rotation starter if all comes together. To round out the trade, Ramirez is a relief-only type prospect. According to reports, he brings an “explosive” mid-90s fastball to the table with a slider and split-finger fastball. He has the ML profile of a lower-leverage reliever. It appears Williams will be assigned to Memphis which leaves them down a player following the Oscar Mercado trade. Meanwhile, Cabrera and Ramirez have been sent to Springfield. After a flurry of moves yesterday, the St. Louis Cardinals pick up right where they left off and announced several transactions affecting the system on Saturday. On Friday, the St. Louis Cardinals announced a series of moves affecting the minor league system in conjunction to the transactions at the big-league level. Formerly a top starting pitching prospect for the St. Louis Cardinals, Junior Fernandez has put injury behind and has reached Double-A in his new role as a reliever.